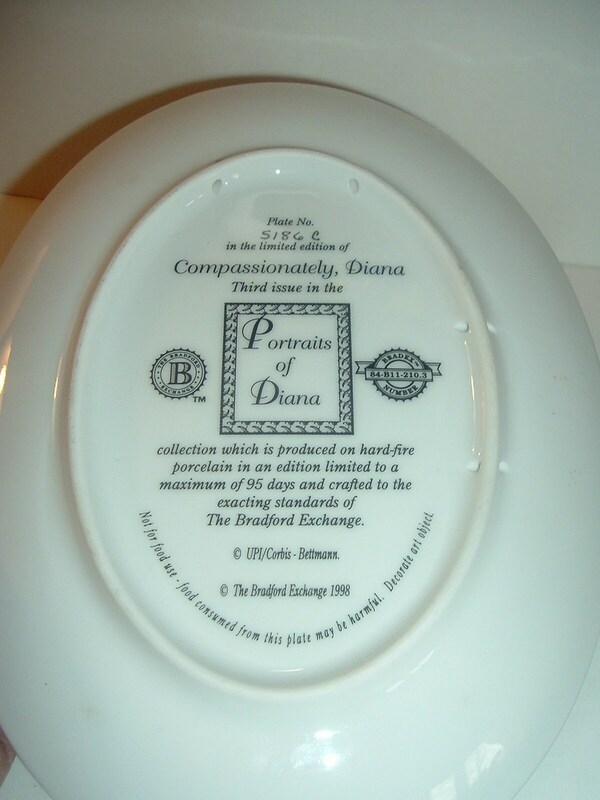 This Compassionately Diana oval shaped plate measures approx. 8 5/8"L by 6 5/8"W (plate only). 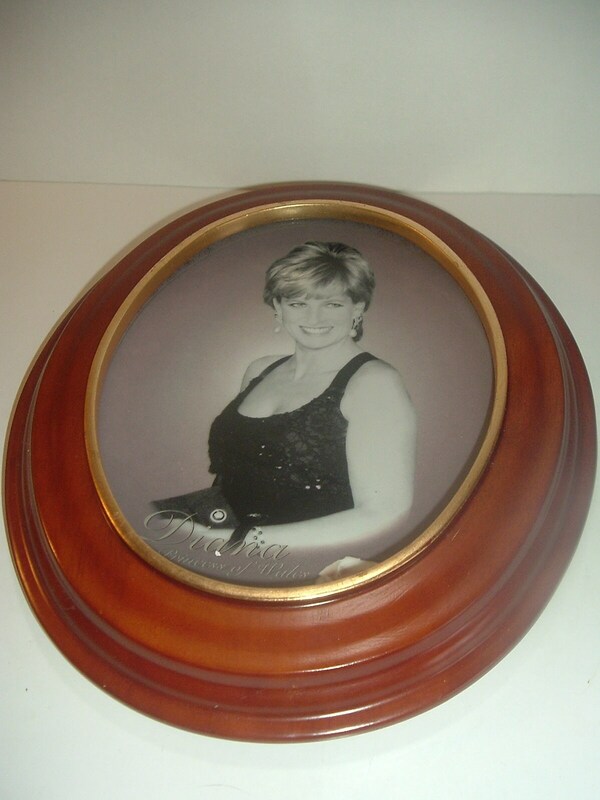 I have it in a Vanhygan & Smythe frame that measures approx. 11.25"L and 9"W. The plate is excellent. The frame is still in good shape -- I see a couple of little rubs in the inner gold band. 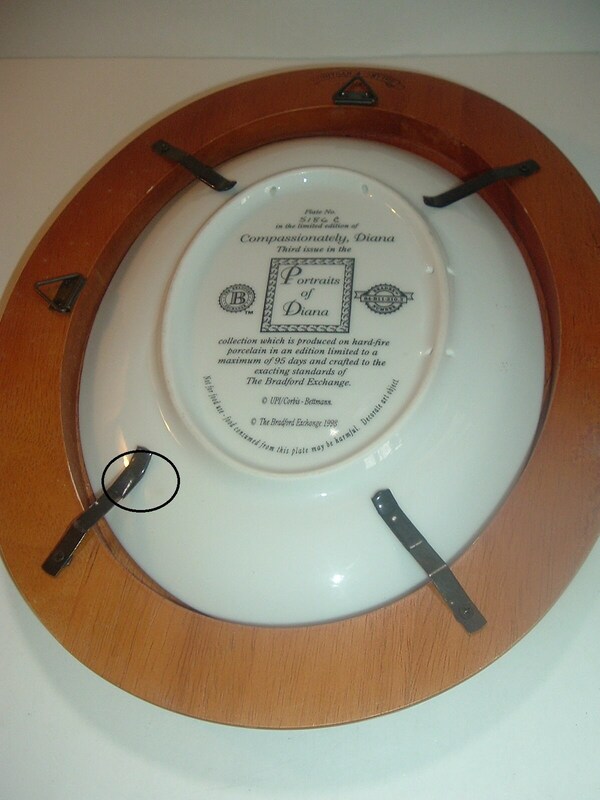 In the last photo, I have circled one of the metal tabs -- the tab is in good shape, but the rubbery cover (that protects the porcelain) is a little loose (still does its job, though). 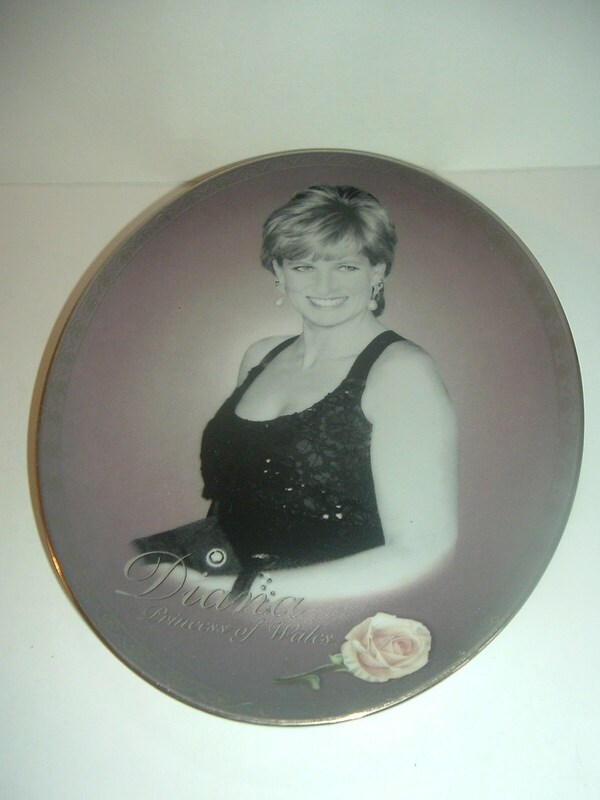 The plate is lovely, featuring Diana and a pink rose. The rim is finished off with a simple, light design. 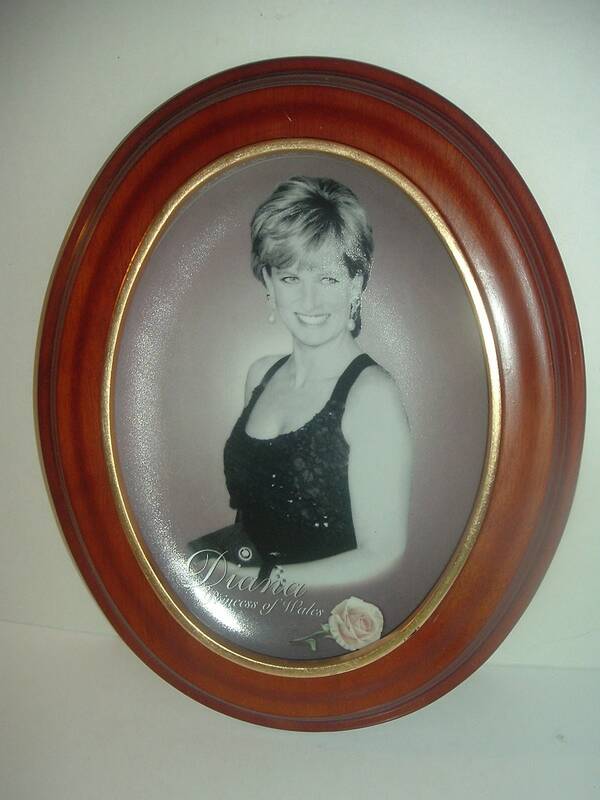 This was part of the Portraits of Diana collection, and originally made available by the Bradford Exchange. I have no box or paperwork with this one. Plate and frame only. I gladly combine shipping.